Visiting Kalalau Valley Lookout on Kauai, one of the top things to do on Kauai. You’re going to Kauai for a few days’ vacation. But you don’t have time to see everything. So what do you do? It seems impossibly hard to narrow down a list of the five best things to do on Kauai. But here are some of the places you should absolutely not miss. 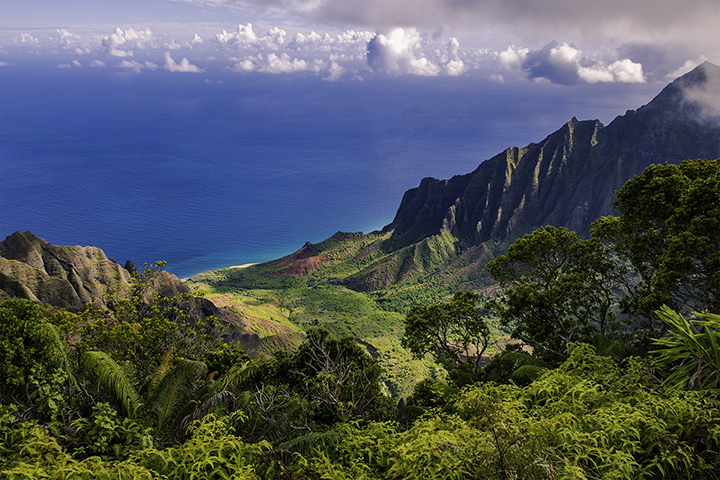 One of the most iconic of Hawaii’s shore lines is the Na Pali Coast in Kauai. For 17 miles, the cliffs, some as high as 4,000 feet, tower over secluded beaches, valleys and sea caves. Here, you can hike trails and admire waterfalls along the impenetrable wall of greenery. For many years, Hawaiians found shelter on this coast, farmed the land and fished the waters. You have probably seen the area in many films. It is also one of the most popular places to visit on the island. We recommend spending an afternoon taking in the beauty of the Na Pali Coast. You can do this by boat tour, renting sea kayaks or hiking on the 11-mile Kalalau Trail. If you can afford to do so, take the helicopter tour. This is because nothing compares to seeing the Na Pali Coast from the sky. This could be one of the most exciting things to do on Kauai. 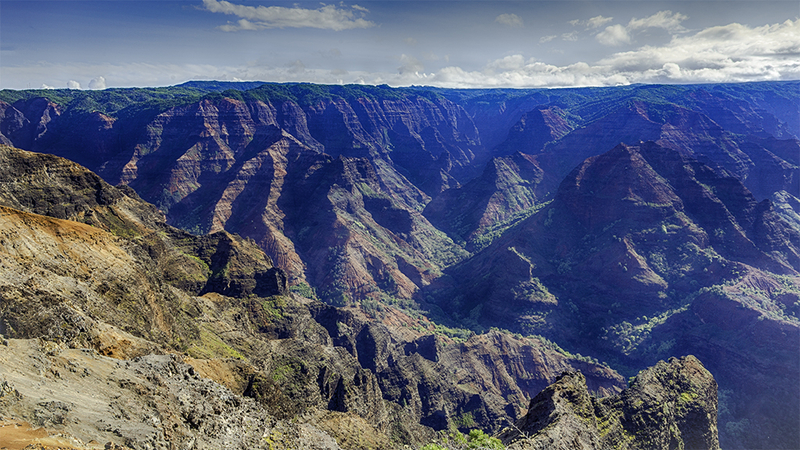 The staggering glory of Waimea Canyon is unparalleled. From its red rock to green foliage, it’s no wonder why some call it the Grand Canyon of the Pacific. Over the eons, Waimea Stream carved out the canyon, extending over 10 miles long and more than a mile wide. This stream is fed by one of the wettest spots on the planet, Mt. Waialeale. Hikers can take in the views from a number of viewpoints, like Pu’u Hinahina and Pu’u Ka Pele lookouts. These places showcase the canyon walls, waterfalls and Waimea Stream. There are guided tours or hiking trails for those preferring their own pace. Out of all the things to experience on Kauai, hiking Waimea Canyon is a must. 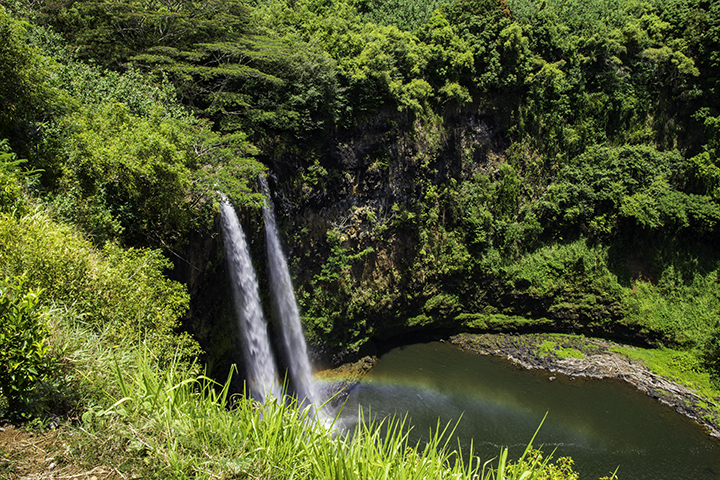 There are so many notable waterfalls on the Garden Isle, it might be tough to choose which ones to see. From the lookout at Waimea Canyon, you can spot Waipo’o Falls on the Garden Isle. Then there is Hanakapi’ai Falls along the Na Pali Coast. One can only access this 300-foot cascade through a challenging hike from the Kalalau Valley trailhead. There is also Wailua Falls, near the town of Lihue. You can view it after a short walk from the parking lot, making it convenient for children to see. The stunning Opaeka’a Falls in east Kauai is another place to take children. This is because it only takes a brief walk to view this impressive cascade. One of the best things to do on Kauai is to spend a day snorkeling and swimming on Poipu Beach. There is a shallow sandbar here, perfect for small children hoping to splash safely in the water. Poipu Beach also has showers, changing rooms and picnic tables. It’s also conveniently close to restaurants and hotels. 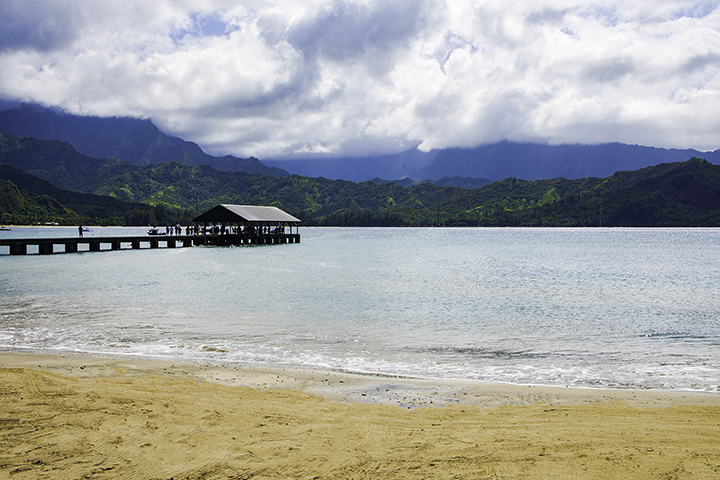 Another well-loved beach is the 2-mile long Hanalei Beach in Hanalei Bay. Boats bob up and down gently in the bay. And in the summer the water is so still that avid swimmers can do laps just off the shore. There are also changing rooms, showers and bathrooms and plenty of restaurants and shops to visit. For a more laid-back beach, go to Kalapaki Beach. It’s a quiet local hang out for surfers and swimmers. They say the best things in life are free. And enjoying Kauai’s famous beaches is a great way to have fun without any expense. 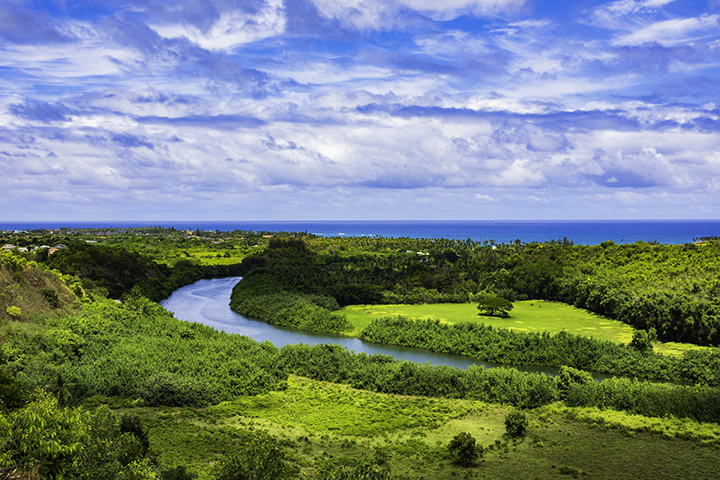 Wailua River, the site of many Hollywood films. What would a trip to Kauai be without visiting the locations where some of Hollywood’s biggest movies were filmed? Such films include: Blue Hawaii, Pirates of the Caribbean, The Descendants, Raiders of the Lost Ark, South Pacific, Jurassic Park and Avatar. Filmmakers shot these these movies in places like Hanalei Pier, Wailua Falls, Wailua River and the Na Pali Coast to name a few. Going on a Kauai film tour is one of the great things to do on Kauai, especially for movie buffs.